Import clients with CSV to easily and quickly keep your client records up-to-date. You already use FreshBooks to track time, your spending habits and projects. But what about keeping tabs on clients? Even if you’re just starting out, maintaining an up-to-date client list not only builds stronger relationships, it’s a crucial habit for any healthy business. To shave some time off your day, FreshBooks has added an update that makes it easy to import clients in bulk with any CSV file. Check out how it works below. Import Clients with CSV: What is It? 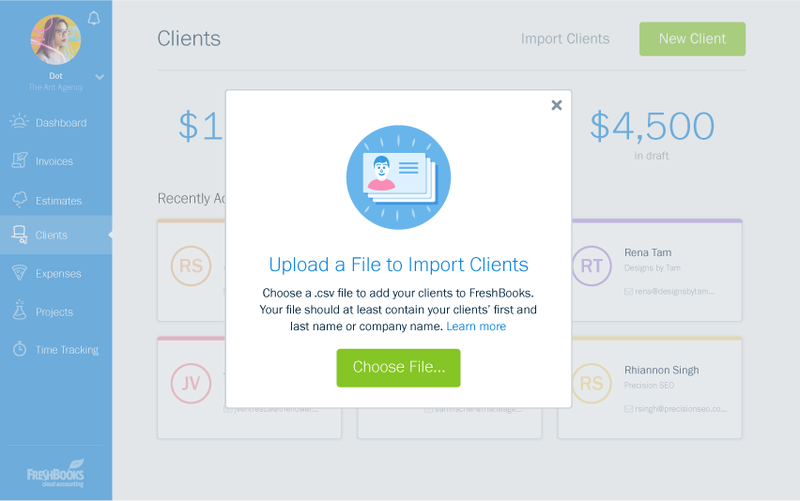 While you’re probably familiar with manually adding clients into your FreshBooks account. And while it’s straightforward, things become frustrating when you have a long list. Maybe you went to a tradeshow and collected names or came home from a conference with business cards. 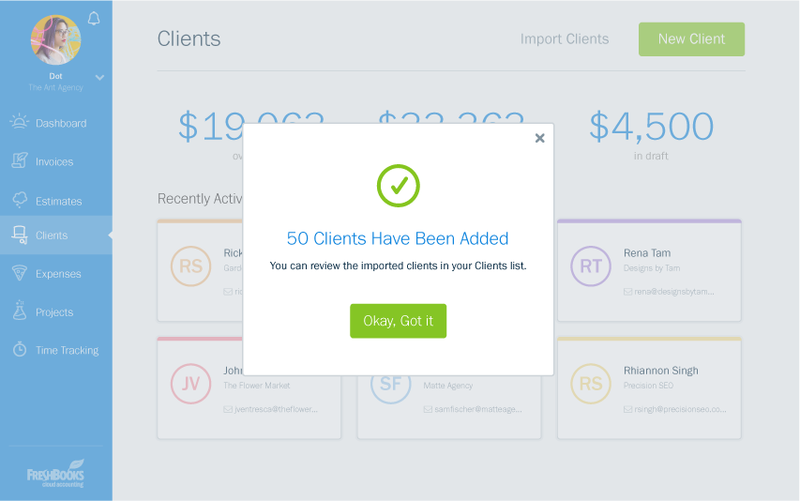 Adding clients in bulk was a pain… until now. 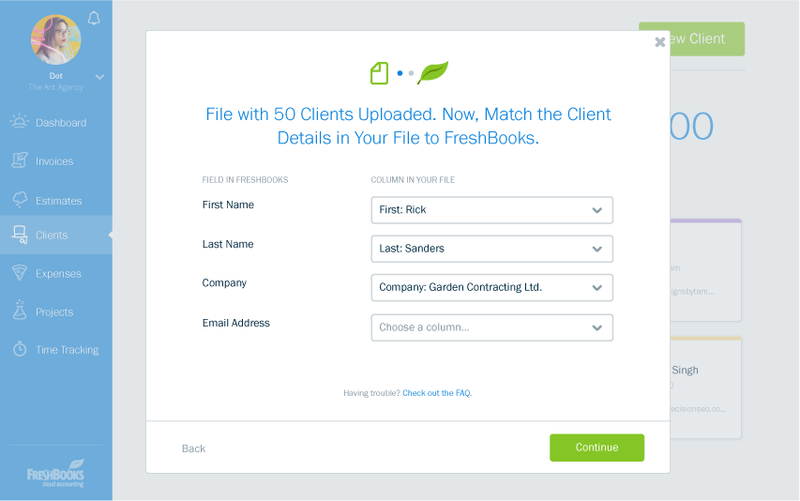 In a few clicks, you can upload a CSV file into FreshBooks. We’ve even added new fields so you can keep super accurate records without additional labor. 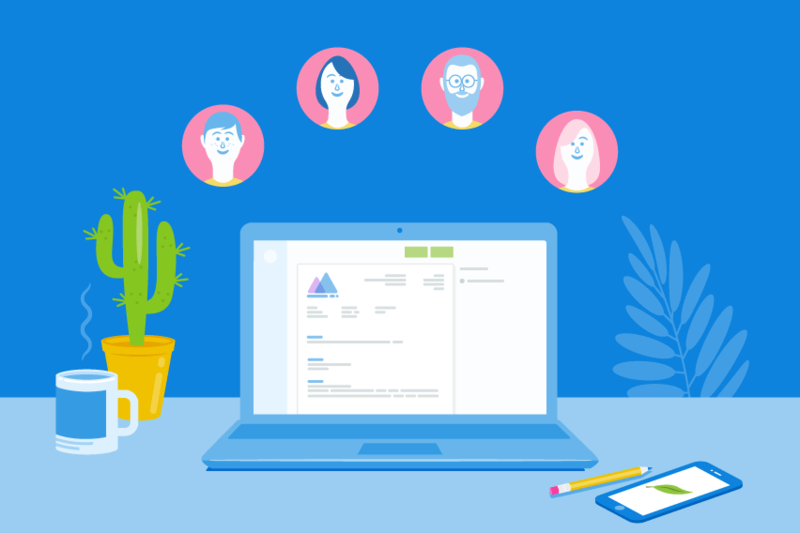 And whether they’re active clients or potential prospects, you’ll now have all the info you need in the same place you already keep track of everything else: FreshBooks. Step 1: Head to the Clients tab from anywhere in FreshBooks. Then click “Import Clients” and choose your file. Step 2: Be sure to fill out the fields with as much detail as possible, your future self will thank you. Step 3: That’s it! Now you can review your upload in the Clients list. Keeping accurate and detailed client records is important but doesn’t have to be time consuming. Even if you don’t have new clients to add, give it a spin to see how it works. For more information on importing clients, visit our FAQs.